The 2016 edition of the Boston University Terriers were destined for a letdown. It’s not every season that a freshman Hobey Baker winner (Jack Eichel – heard of him?) leads your team to a Beanpot title, a Hockey East title, and to within minutes of a national championship before leaving for the NHL as the second overall draft pick. In 2016, the Terriers had to settle for merely “very good.” After a rocky 2-3 start that included road losses at Union, Connecticut, and Merrimack, BU put together a 19-7-5 stretch that took them into the Hockey East Quarterfinals. They did not lose back-to-back games during that time. That changed in March, though. 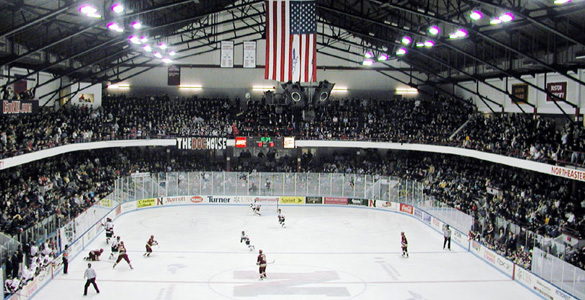 After squeaking by the UMass Minutemen by scores of 2-1 (in OT) and 5-4, the Terriers were swept out of the Hockey East playoffs by UMass Lowell. They were then stomped by Denver, 7-0, in the first round of the NCAA tournament. It’s a bit tough to pin down exactly what went wrong for BU. A closer look at the stats reveals a strong club. The Terriers put up an impressive 54.6 CF%, good for 9th in the nation. Their results, more or less, reflected that. The offense was 4th in Hockey East, checking in at 3.18 goals per game over the course of the entire season. Both special teams units were strong, with the power play posting a 21.1% clip that ranked 4th in the conference. The penalty kill unit negated chances at an 81% rate, placing 5th in Hockey East. What kept BU from becoming elite was the defense. 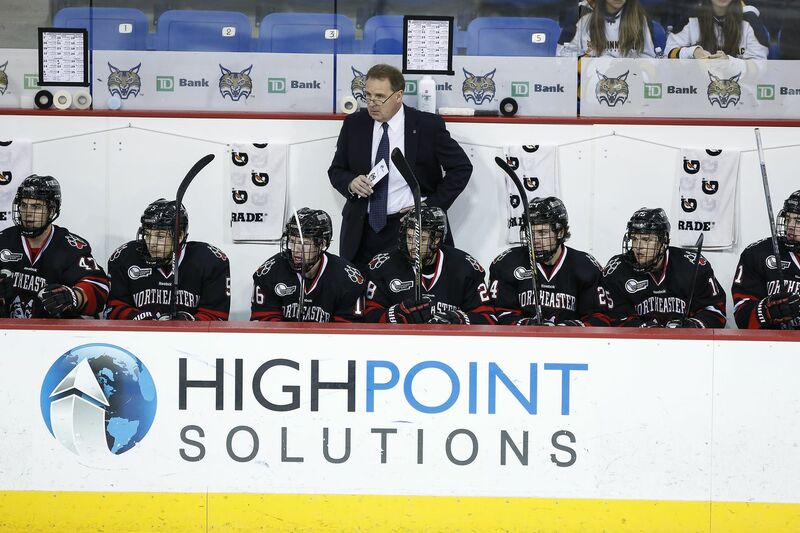 The Terriers surrendered 2.72 goals per game, a middling mark ranking 7th in Hockey East. While there were some sophomore blue-liner struggles from the likes of Brandon Hickey, goaltending was the real culprit here. Sean Maguire did post a .920 save percentage in nearly 1400 minutes of play, but he received inconsistent ice time early on as he worked his way back from a concussion. Connor LaCouvee, meanwhile, stopped just 89.7% of shots faced in about 1000 minutes of playing time. Ultimately, it was Maguire who came up small down the stretch. He put up a .888 save percentage in his last 8 appearances. He surrendered 9 goals on 47 shots in the 3 playoff losses to Lowell and Denver and was even pulled twice. This, combined with significant road struggles (14-2-2 at home, 6-9-2 on the road), and you have the recipe for a team sent home earlier than the peripherals would make you think. The Terriers of 2016-2017 have some tough shoes to fill. BU loses 5 of its top 8 point-getters from last season. Danny O’Regan has moved on, taking his team-leading 17 goals and 44 points with him. So has Ahti Oksanen, with his 36 points and conference-leading 190 shots. Matt Lane (14-14-28), Matt Grzelcyk (10-13-23), Brandon Fortunato (5-17-22), and Robbie Baillargeon (6-6-12) are all also gone, along with the goaltender Maguire. On the other end of the ice, the Terriers return a stacked crew of 6 defensemen. Sophomore Charlie McAvoy headlines the group after putting up a 3-22-25 line last season. He was drafted 14th overall this past summer by the Boston Bruins. Doyle Somerby, the 6’ 5”, 225 pound senior captain, will bring a strong, physical presence. He placed 2nd in Hockey East with 77 blocked shots in 2015-2016. Brandon Hickey will be looked at to bounce back from a lackluster sophomore season where he tallied just 8 points after posting 17 in his freshman season. Brien Diffley and John MacLeod have proven themselves as solid contributors as well. Finally BU returns two goalies: LaCouvee and third-stringer Max Prawdzik. Despite some intense competition, Clayton Keller arrives at BU as the shiniest jewel of his class. The 5’ 10” centerman was drafted 7th overall by the Arizona Coyotes in this summer’s NHL draft and is generally regarded as a playmaker first and a scorer second. Over the past two years, Keller has posted some ridiculous numbers with the U.S. National Team Development Program (NTDP). He broke the program’s career points record with 189(!?). For perspective, the next highest point totals were courtesy of Phil Kessel (180), Patrick Kane (172), and Auston Matthews (167). Jack Eichel posted a meager 139 points for the. Keller’s 189 points includes 107 points (37 goals) last season alone, good for second in the NTDP single-season record books (behind Matthews’ 117). Keller, the MVP of the 2016 U18 World Championships, rightly has high expectations for his first and possibly only year at BU. On the blue line, the Terriers add Dante Fabbro, who was named the best defenseman in the BCHL last season. He led the Penticton Vees to the 2015 Fred Page Cup and led all blue-liners in scoring with 67 points and 14 goals. Scouts have described Fabbro as a mobile, two-way defenseman with excellent hands and a knack for moving the puck effectively and efficiently. 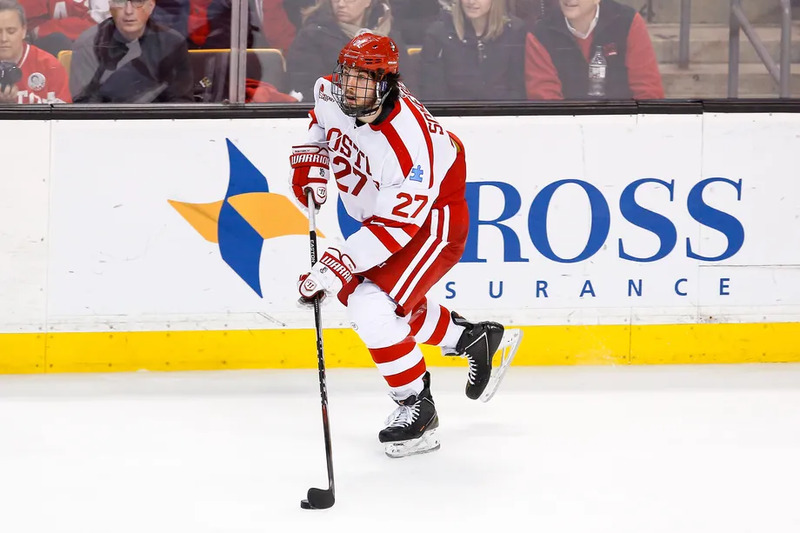 Checking in at 6’ 1” and 192 pounds, Fabbro was drafted 17th overall by the Nashville Predators this past summer and should step into the BU lineup immediately, even with the Terriers loaded blue line. Chad Krys is yet another top defenseman for BU. Drafted in the second round by the Blackhawks, this 6’ 0”, 185 pound blue-liner is another NTDP alumnus. He posted 29 points (26 assists) in 53 games with the U18s and will lend some high-end skating ability to the Terrier defense corps. 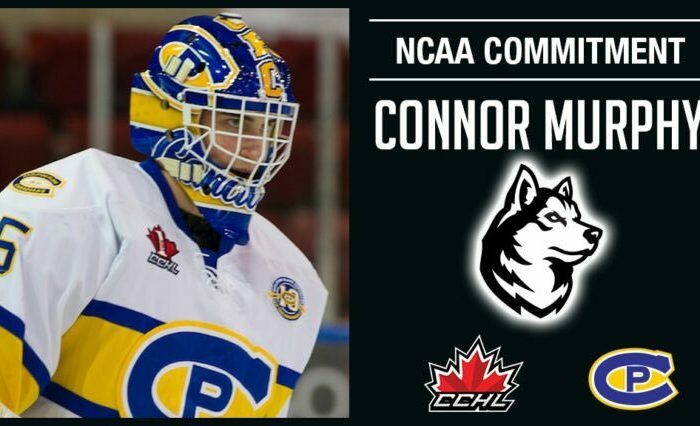 Krys’ father, Mark, was the Terriers captain during their national championship runner-up season in 1991.Clearly, there’s no reason Chad can’t eventually have that kind of impact as well. Finally, the new goaltender for BU is Jake Oettinger, who arrives on campus by way of the U.S. NTDP. The 6’ 4”, 205 pound Oettinger will provide a big body in net, but he can play too. With the U18s last season, he posted a .908 save percentage and a 2.38 goals-against average. He also put up an 11-3 record and a .919 save percentage against USHL competition. Oettinger is widely regarded as one of the top goaltenders in next year’s NHL draft. After LaCouvee’s lackluster play last year, it would be surprising if Oettinger did not grab the starting job and run with it. These five will also be joined by Patrick Harper, a fifth round pick of the Nashville Predators. The Terriers round out their incoming class with forwards Gabe Chabot, Patrick Curry, and Johnny McDermott. It’s a new era for BU after the departure of vital four-year players such as Danny O’Regan, Ahti Oksanen, and Matt Grzelcyk. Their replacements, however, could literally not be any better. BU may be the only team who can replace its top seniors with half of the U.S. NTDP. 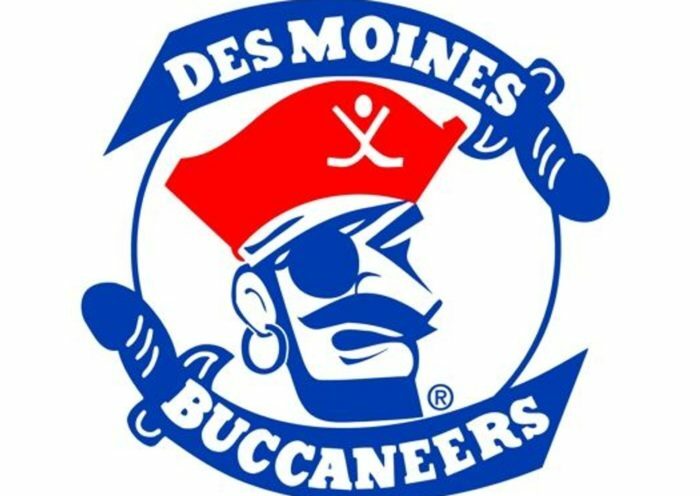 While Terrier fans may spend the summer of 2017 in fear, waiting for their roster to collectively bail for the NHL, this coming season promises to be a special one. Oettinger, in particular, may be the key to the whole season for BU, considering Maguire’s struggles in March last year. Unless there are significant, unforeseen adjustments for him and the other stud freshmen, BU is the runaway favorite to win the conference.